Ohio Loan Co., Inc. | Dayton Pawn Shop – How Much Money Will A Pawn Shop Give Me For My Item? 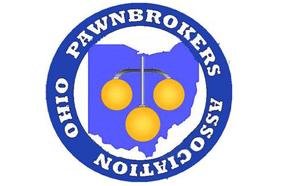 Ohio Loan Co., Inc. | Dayton Pawn Shop \ How Much Money Will A Pawn Shop Give Me For My Item? The item’s current appraised value/the resale or wholesale value - Remember that items like precious metals or jewels retain more of their value over time. Items like electronics, CD players, computers, etc. tend to lose their value over time. For gold and diamond jewelry, we have skilled metallurgists and gemologists on staff to conduct the proper testing and inspection. The current condition - We make sure your item is in good working order. Does it “appear” to be in good condition to the eye? Are there any cracks or broken/missing parts. If applicable, does your item work when plugged in? Is your item missing any accessories, documentation, manuals, remote controls or parts? Ability to resell the item – Sometimes certain items go out of demand and are no longer desirable on the market. In some cases, there may be too much of one type of item on the market. These factors will reduce the likelihood that we can easily re-sell your item and recoup the money we originally disbursed for it.